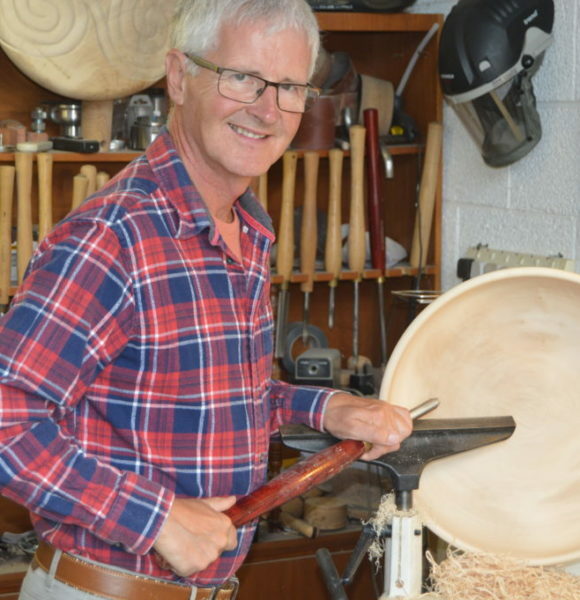 A Woodturner and Carver from Fermoy, Co. Cork. I was born in Fermoy, and developed a passion for working with wood at an early age. 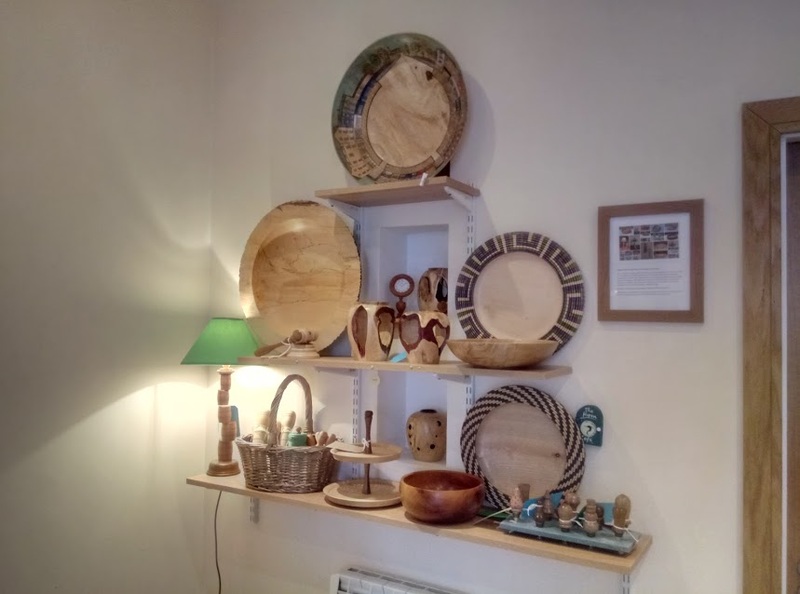 While on a visit to Venice I was inspired by the wood-carvings there to develop my own skills in wood-carving and subsequently in woodturning. Then, the construction of a purpose built modern workshop in Fermoy allowed for the realisation of my talents. Visitors are always welcome to come and see the process of an ordinary piece of wood transforming into a finished piece, just contact me in advance. I produce both functional and decorative pieces. 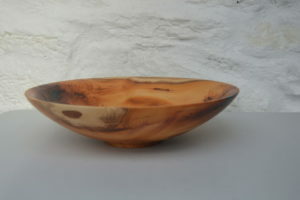 Lathe turned items include bowls, platters, lamps, candle holders, hollow forms and bottle stoppers. Carvings are usually made from Lime Wood, sourced locally and include a wide variety of items such as umbrellas, hats, scarves and jackets. All pieces are individually hand carved using a mallet and chisels. 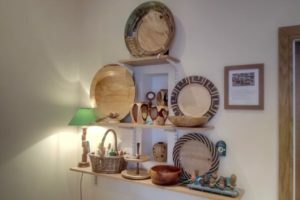 I use hard wood sourced from all over Ireland, and all my friends, family and acquaintances are very generous in assisting me by supplying me with wood. 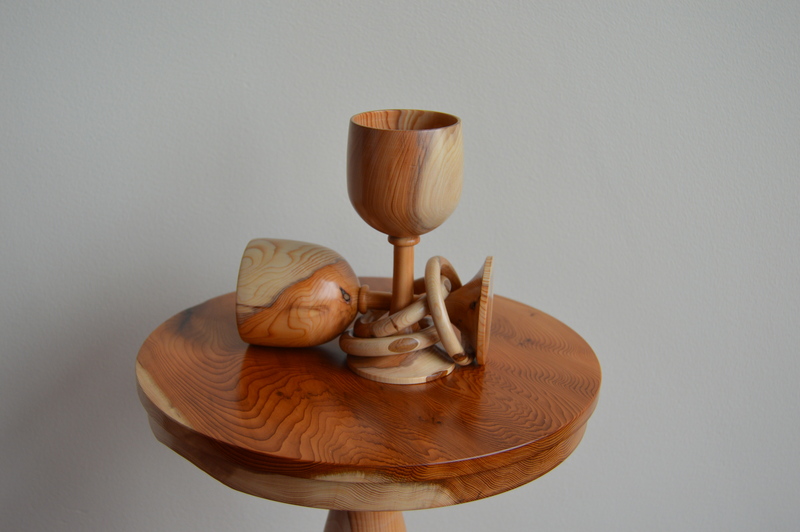 On occasion I have been asked to create a piece to celebrate a “special” tree. This is something that gives me great personal satisfaction. 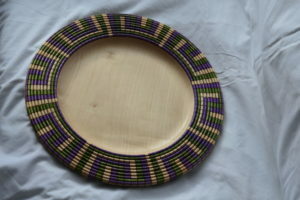 All pieces are unique and are ideal for that special Birthday, Wedding, Anniversary and Christmas presents. Commissions are also undertaken for that extra special occasion. 17 Bridget Street, Fermoy, P61 XT82.